b. Mine Applique - 3 Sizes! A perfect Valentine's Day design for all ages! 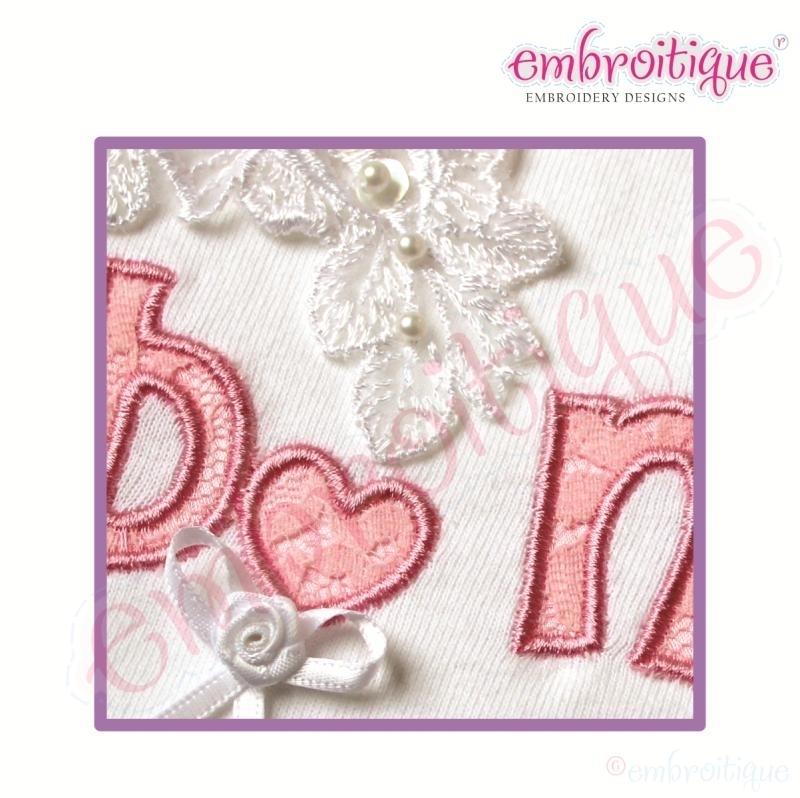 This design has a satin stitch border, but we do have a raw edge version (sold separately). Visit our blog for a quick tip on how to get this shabby chic look! Includes 4x4, 5x7 and 6x10 sizes. The lace design is not included. This listing is for the words only. A perfect Valentine's Day design for all ages! This design has a satin stitch border, but we do have a raw edge version (sold separately). Visit our blog for a quick tip on how to get this shabby chic look! Includes 4x4, 5x7 and 6x10 sizes. The lace design is not included. This listing is for the words only. Valentine's Day Word Block - 4 Sizes! b. Mine Raw Edge Applique - 3 Sizes! Finish Size 1.0" x 3.9"
Finish Size 1.8" x 6.8"
Finish Size 2.5" x 9.5"